I have long been an admirer of Kenneth Hite as game critic, game commentator, and game designer. The reasons I hold him in high esteem are too numerous to be enumerated here one by one, and that would be boring besides, but there is one reason that stands at the summit of my admiration. 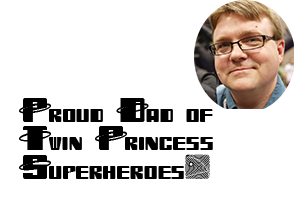 It is his awe inspiring ability to fuse history, mystery, pulp, and high art into his game design in surprising ways. The Cold War is over. Bush’s War is winding down. You were a shadowy soldier in those fights, trained to move through the secret world: deniable and deadly. Then you got out, or you got shut out, or you got burned out. You didn’t come in from the cold. Instead, you found your own entrances into Europe’s clandestine networks of power and crime. You did a few ops, and you asked even fewer questions. Who gave you that job in Prague? Who paid for your silence in that Swiss account? You told yourself it didn’t matter. It turned out to matter a lot. Because it turned out you were working for vampires. Vampires exist. What can they do? Who do they own? Where is safe? You don’t know those answers yet. So you’d better start asking questions. You have to trace the bloodsuckers’ operations, penetrate their networks, follow their trail, and target their weak points. Because if you don’t hunt them, they will hunt you. And they will kill you. It just oozes high concept excitement. Yet, much like Ken's brilliant The Day After Ragnarok , there seems to be something else going on here as well. It is something that I missed at first glance -- Ken is sneaky that way. I didn't notice it until I was reading an interview with Fritz Leiber in Charles Platt's "Dream Makers vol. 2 ." 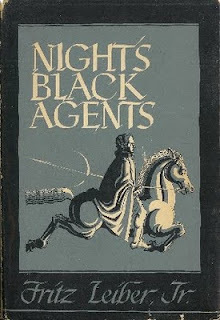 There was a brief comment by Leiber that his first book, published by Arkham House, was entitled Night's Dark Agents. Hmmm... Sneaky that Hite fellow. A follow up game to the successful, and remarkable, Trail of Cthulhu (which I believe to be the best Cthulhu game published to date, though Ken humbly differs) is named after a book published by Arkham House. Arkham House Publishing's first publication was a book of Lovecraft's stories, and Leiber wrote letters to Lovecraft receiving kind responses from the father of Cosmic Horror -- responses that kept Leiber writing until it became a paying gig. The Fafhrd and Grey Mouser story "Adept's Gambit" that is in Night's Black Agents is Leiber's first written -- though not first published -- tale of the duo, and it includes some Cthulhu references. You see how he so subtly built a connection between Lovecraft and his new game through the vehicle of Leiber? More than that, Hite knows that the title references "The Scottish Play" as well. You see, Hite is just able to take ideas -- sometimes seemingly incongruous ideas -- and meld them into something new and wonderful. I cannot wait for the release of Night's Black Agents. I wonder if the game will include echoes of Leiber's vampire story, "The Girl with the Hungry Eyes." You can watch a "Serlingized" version of that tale below. Fascinating info on Ken Hite's next game, Christian. I caught the Leiber reference--I've read Night's Black Agents. I would have been more interested if it had been fantasy set in Nehwon--there has never really been a good Mouser and Fafhrd rpg. That Hite is so modest, or else doing so many things--he didn't even mention NBA to me when I saw him at DundraCon.